Not really my style, red wine cask makes it quite acidic and full of tannins. It completely overshadows the distillery's character. One of the better wine cask finishes I've tried. Nothing to dislike about this dram other than a weak-ish finish. Wham it is sweet! Sugar coated berries, blueberries, blackberries and raspberries with plenty of syrup on top. With time some oak coming through, quite sherry like. This nose isn't a swimmer. Bags of raisins and dried cranberry on the palate followed by intense spice and oakiness. 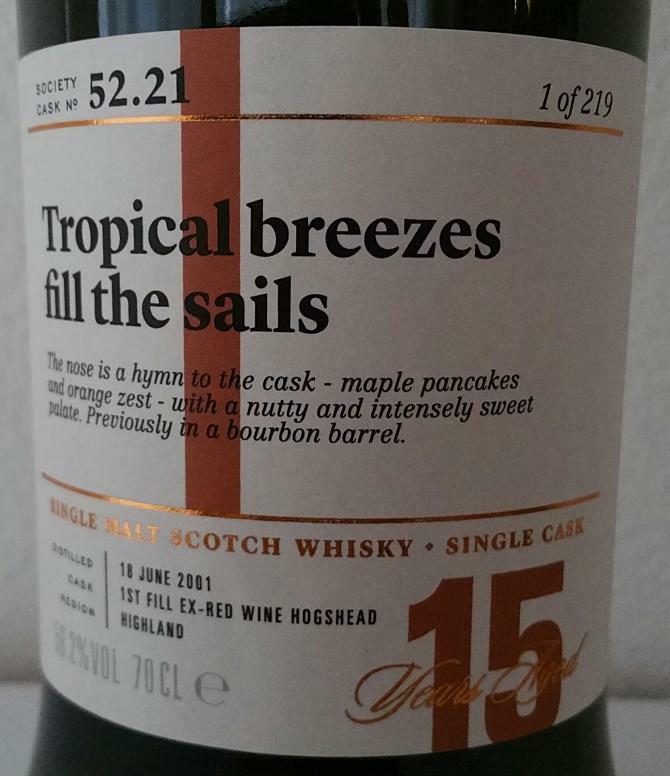 Holding on the palate brings out notes of caramel and burnt sugar. Water helps the palate, brings out the berries and fruitiness from the nose. Finish short and soft, little of the sweetness from the berries but disappears quickly. With water the finish improves in length with a little brown sauce. 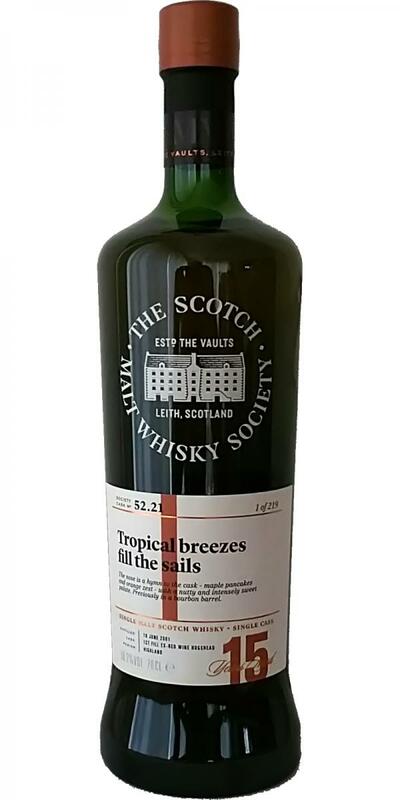 Very enjoyable dram from the "Deep, rich & dried fruits" category at SWMS. After 14 years in a bourbon barrel it was transferred to a first-fill ex-red wine hogshead for a one-year finish. The red wine influence is rather shy though. Could easily be mistaken for a sherry whisky to be honest -- not that there's anything wrong with that! Like this one a lot. Medium. Dark chocolate with walnuts, dried oranges and dry oak. My relationship with Old Pulteney goes back nearly 20 years – it was one of my first whisky loves. You might expect a maritime, salt-licked experience as is typical with OP, but what you get here feels much more akin to a middle-eastern spice market. There’s tons of aromatic and pungent spice going on, which I can only presume comes in from the ex-wine finish. It doesn’t feel very Old Pulteney to me, but I found it highly unusual and pretty fascinating all the same. A interesting mix sugars, fruits and nuttiness. From the get go we’re into a fairly sweet start to proceedings with sugar syrup, tinned pears, toffee and caramel. This is supported by some pronounced nuttiness – slightly bitter and tannic – almost like seeds. There are indeed some matured wine aromas in here, and they’re quite sherry-like – sultanas and raisins in particular. Diluting slightly, we get bread pudding and toffee sauce. Sweet, bitter, nutty, spiced – quite unusual. Star anise, cardamom, turmeric and saffron make for a heady mix of earthy spice flavours. They’ve joined by sweet wine flavours of chocolate, raisins and a light tobacco. Nuttiness continues with walnuts and hazelnuts and are joined by a slightly charred/roasted note. Water brings out fruitier flavours which favour red berries – it also heightens the tannins, making for a teeth licking experience. And there, finally, some of the salinity that I’d commonly associate with a dram from this Wick-based distillery. Medium, quite drying and expressing a lot of earthy musky spice. Ex-redwine is not my preferred casktype. Howevet this one is not influenced too much by the cask.Decent Bottling but it doesn't quite tick my boxes. Water doesn't improves it. Just changes it a bit. and walnuts – all signifying really good wood influence. The palate had intense sweetness (figs, dates, raisins, sherry-soaked trifle), some wood character, burnt toffee and glazed walnuts. The reduced nose evoked sherry and port, wine gums and jelly babies, all served on board a clipper – tropical breezes filling the sails. The palate was now clean, dry and nutty – marzipan, dried apple rings, roasted chestnuts, rum and raisin chocolate and pistachio ice-cream. After 14 years in a bourbon barrel we transferred this to a first-fill ex-red wine hogshead.